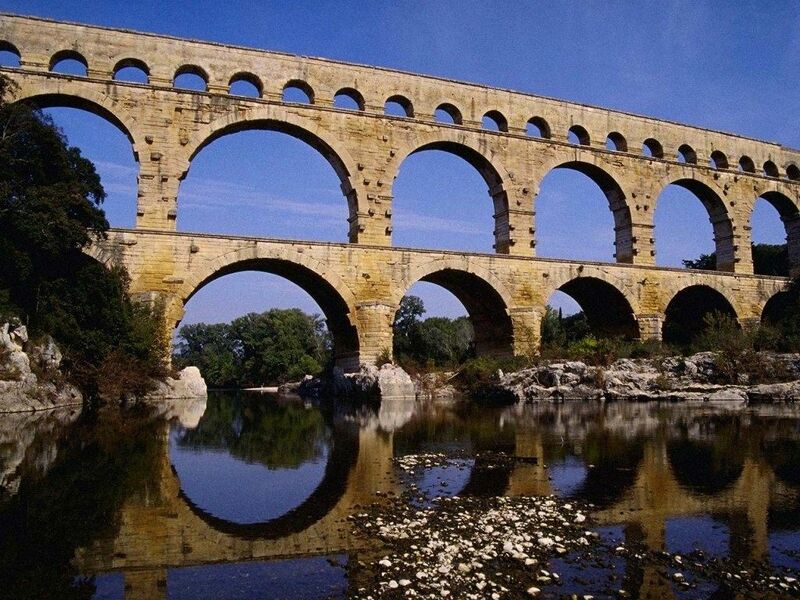 The Romans engineered the first aqueducts to transport water to their cities. Before that, they had to create concrete. After they created waterproof concrete they built the aqueducts which they got water from miles away to get to ancient Rome cities. They studied Greek mythology, grammar, and Latin. The older boys at 16 practiced public speaking. Roman literature was very fictional and fake. They tell stories of gods and goddesses and sometimes tales that teach lessons. This Roman structure is one of the first things built with concrete. The building was an aqueduct used to create running water appliances. The Romans found a way to create water-proof concrete and build in water. It also ties in with science and engineering. There are many forms of art it Rome such as sculptures. Some may be like the Trevi Fountain, a beautiful fountain with Roman sculptures. The name Trevi comes from Trivium a meeting of three points.